Apple has unveiled its latest iMac Pro which it calls the most powerful Mac ever as well as the MacBook and MacBook Pro. The iMac Pro is expected to be shipped in December this year starting from US$4,999. 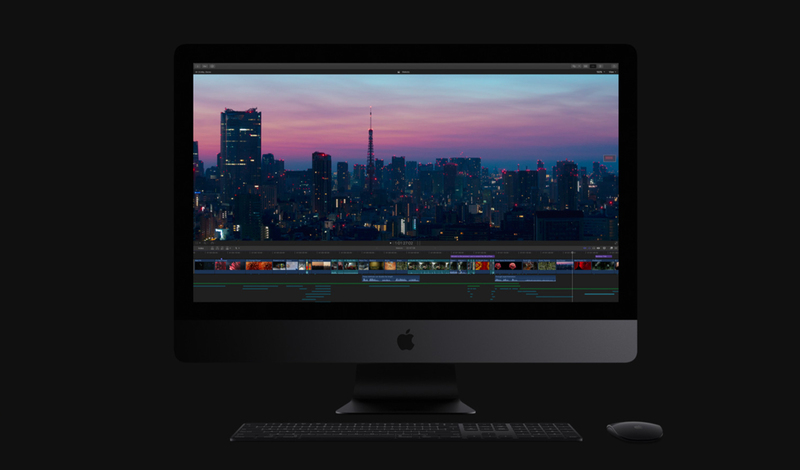 The new iMac Pro features a 27″ Retina 5k display, up to 18-core Xeon processors and up to 22 Teraflops of graphics computation, a new space grey enclosure. The iMac Pro has an all-flash thermal architecture and all-new thermal design so that it can deliver up to 80 percent more cooling capacity in the same thin and seamless design. The Retina 5k display can support 1 billion colours. The new Radeon Pro Vega GPU is the most advanced graphics ever in a Mac, and features a compute core and up to 16gb of on-package high-bandwidth memory. It can deliver up to 11 Teraflops of single-precision compute power for real-time 3D rendering and high frame rate VR. 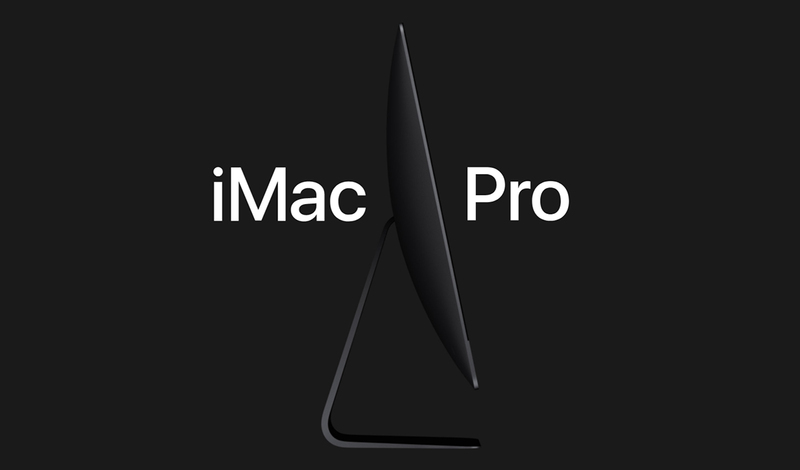 Half precision computation allows the iMac Pro to deliver up to 22 Teraflops of performance. The iMac Pro also supports up to 4TB of SSD and up to 128GB ECC memory. There are four Thunderbolt 3 ports can connect up to two high-performance RAID arrays and two 5k displays at the same time. The 10Gb Ethernet can support up to 10 times faster networking. With macOS High Sierra launching this Fall, iMac becomes a great platform for virtual reality content creation. 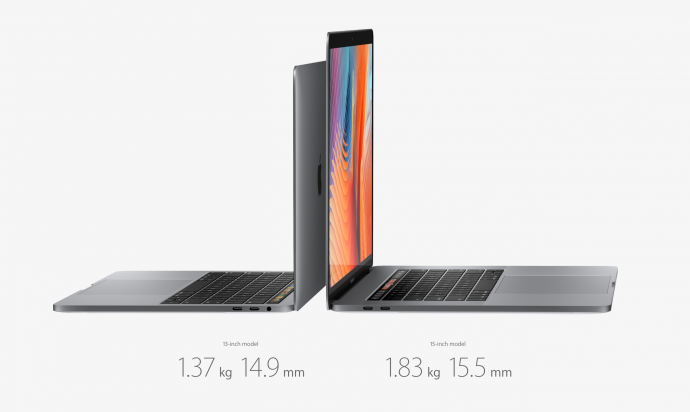 The new MacBook and MacBook Pro are spot thin and light designs. They feature Kaby Lake processors up to 1.3GHz Core i7 with Turbo Boost up to 4.0GHz . The 15-inch MacBook Pro goes up to 3.1 GHz Core i7 with Turbo Boost up to 4.1 GHz. It comes with more powerful discrete graphics with more video memory. The 13-inch MacBook Pro adds a new S$1,898 configuration and has been updated with a 1.8 GHz processor. Other features include the Touch Bar with Touch ID, 500-nit Retina display and Thunderbolt 3. The newly launched iMac, MacBook, MacBook Pro and MacBook Air can be ordered on apple.com/sg and available to buy in Apple Stores starting Wednesday, 7 June 2017.